Put your Arduino project on TURBO mode with the high-speed, high-power Arduino Due! The Due cranks it up to 11 with an 84 MHz ARM core processor - 512K of FLASH storage! 96K of RAM! Both USB client and host! 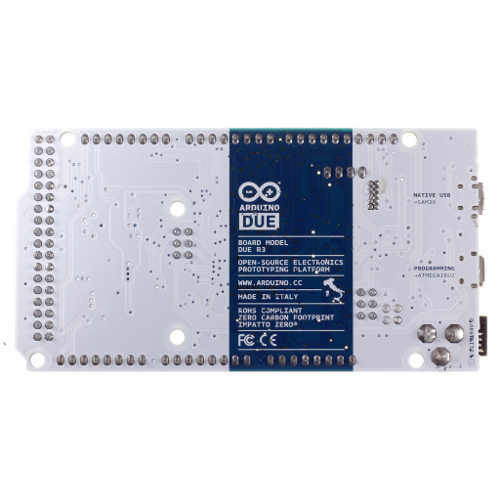 The Arduino Due is ideal for those who want to build projects that require high computing power. For example, remotely-controlled drones that, in order to fly, need to process a lot of sensor data per second - or an audio player that uses the built in Digital-to-Analog converter. 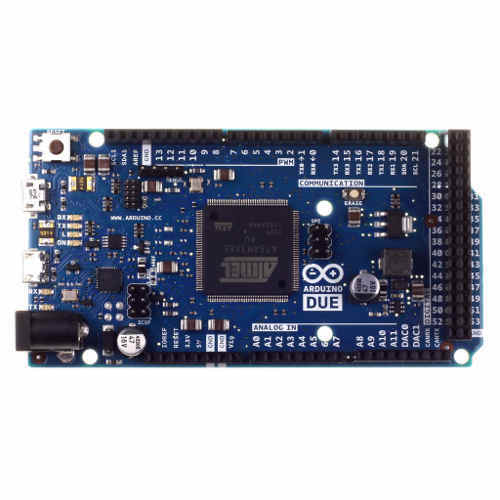 To scientific projects, which need to acquire data quickly and accurately, Arduino Due provides a platform to create open source tools that are much more advanced than those available now. The new platform enables the open source digital fabrication community (3d Printers, Laser cutters, CNC milling machines) to achieve higher resolutions and faster speed with fewer components than in the past. The board is equipped with a SAM3X8E processor from Atmel, based on the 32 bit ARM Cortex M3 architecture running at 84MHz. USB 2.0 interface running at 480 Megabits that allows Arduino Due to act as a USB Host (so you can interface it to USB devices like mice, keyboards, cameras, mobile phones and more). 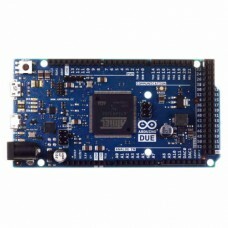 Arduino Due supports the Android ADK 2012 protocol. 12 analog inputs (ADC) with 12-bit resolution and high speed, opening the door to audio applications and signal processing projects that were impossible with Arduino Uno. High-resolution Analog outputs (DAC). The board provides two 12-bit outputs that can be used to generate audio signals. The Arduino Due software comes with software examples for a WAV and OGG player. 4 high-speed serial communication ports. High-speed CAN interface. The CAN protocol is used in the automotive industry to network the different components of the car, is now becoming popular in the field of industrial automation thanks to its speed and ability to withstand electrical noise. Description: The Touch sensor (1129) is a capacitive touch sensor and can detect a touch throug.. Description: This is a standard USB A to Micro (B) cable with a length of 30 cm. USB A is the s.. Description: This is a standard USB A to Micro (B) cable with a length of 180 cm. USB A is the .. Description: Easiely connect 3 pin sensors (like the numerous high quality Phidget sensors) t..